This small group workshop is designed to help you understand how to work smarter, not harder. Learning core and joint stability while adding flexibility to your your body will provide a knowledge of your physical limitations and how to work around them at home, traveling or in the studio for greater freedom of movement at a decreased risk of injury. Register here… only 6 spots available. Sign up online to view our current group schedule as it may be different then what is showing here. Please Note: New clients without previous experience must attend a few private sessions so as not to interrupt the flow of the current classes and understand the method intended. Group sessions are loosely formatted and 40 minutes in duration. 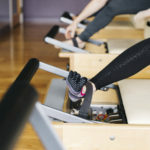 The format changes every quarter to reduce the bodies ability to plateau – Strength offers increased tension on the Reformer slow movements to work specifically on strengthening the body overall. Symmetry provides unilateral training on the Reformer to combat imbalances and often uses the tower springs as well. Bliss is a wonderful deep stretching class on the Tower tables leaving your body restored and your mind Blissful while Restore focuses on both stretching and overall toning. Pilates Chisel offers great core, low back and abdominal strengthening. Endurance uses the jump boards to add cardio to your Pilates. 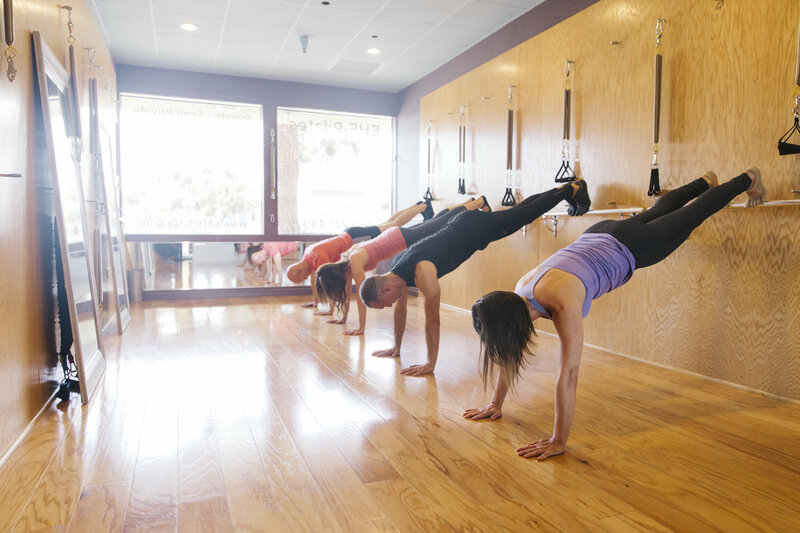 Barre fusion offers more of our Pilates tower springs and Pedi-pull style training with some Ballet barre components with it… Expect amazing core training and some Mat Pilates work in this incredible fusion class. Most of our classes are challenging and not intended for those with injuries or those brand new to Pilates. Contact the studio with questions. Visit our “online scheduler” to register. Register and pay for sessions by clicking the menu tab “purchase sessions”. 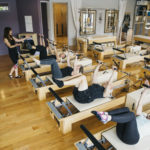 Scroll down to the service you are interested in (Reformer classes, Pilates Express classes, etc. ), then choose the series you wish to purchase and check out. Click on the “Classes” menu tab to view our current class offerings. Forward to other days, weeks or months with the sub-menu tab located in the upper right corner. After you purchase your package or session, Click on the “Sign up” button next to the class offering and your place is booked! To cancel a class, click on the menu tab “My Info“. Choose the sub menu option “My Schedule”. There will be a cancel link located to the right side of your session to cancel your class. Please note we require 24 hours advance notice to cancel your class to avoid class forfeiture. The system will allow you to cancel the class within the 24 hour time frame, however, no refund or make-up classes will be allowed. 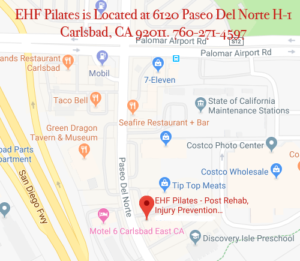 If you have other questions about scheduling your session, please send an e-mail to info@ehfpilates.com.